Shirley's Singer | Discovering a love of sewing on my grandmother's 1951 Singer. Discovering a love of sewing on my grandmother's 1951 Singer. I have benefited greatly from other sewing bloggers. I could write about this topic for days, but suffice it to say, I think that sewing blogs have pushed me further and faster into sewing. I love to see the same pattern on several different body types. I love learning from others. And I really enjoy getting to know my fellow sewists a little better. I want to share my makes so people with similar body shapes can benefit from the photos and information I share. I love getting to know the sewing community. After many years of not feeling like I fit in anywhere, I finally feel like I have found my people. I am also happy to have a record of my makes to look back on. Hopefully as the months and years go by I can look back and appreciate the progress I have made. I like to share bullet point style lists. Let’s get into the fun part – the garments! 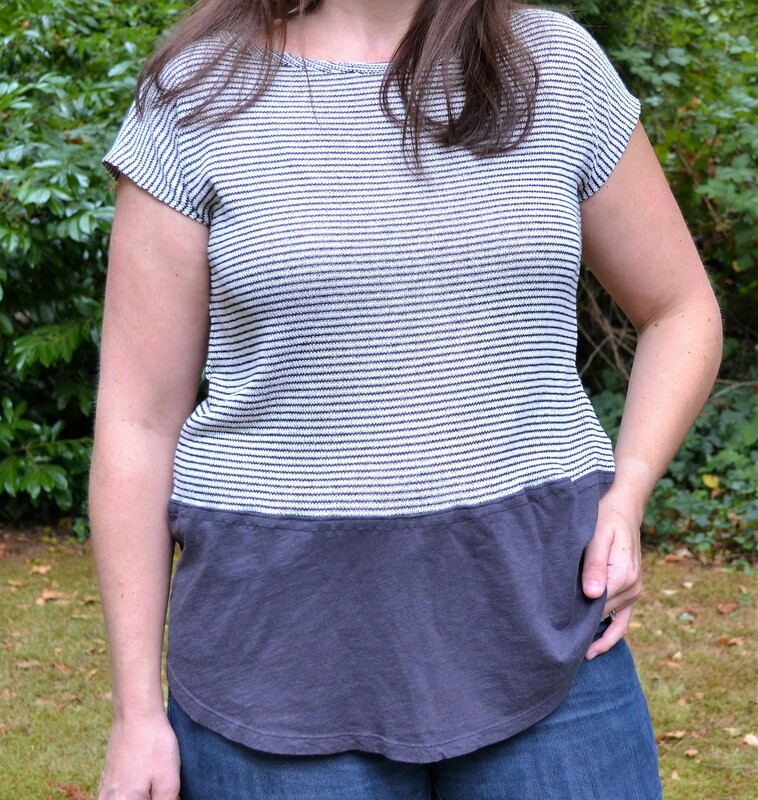 Tessuti Alice– I eyed this pattern for a few months before taking the plunge. Not sure what took me so long. I am always looking for cute tops that are friendly to my belly. I’m indebted to those ladies that made this before me… I made a size Medium based on the info coming out of the internets, when my measurements would have put me in the Large. I made no alterations to the pattern. It was an easy and quick make. 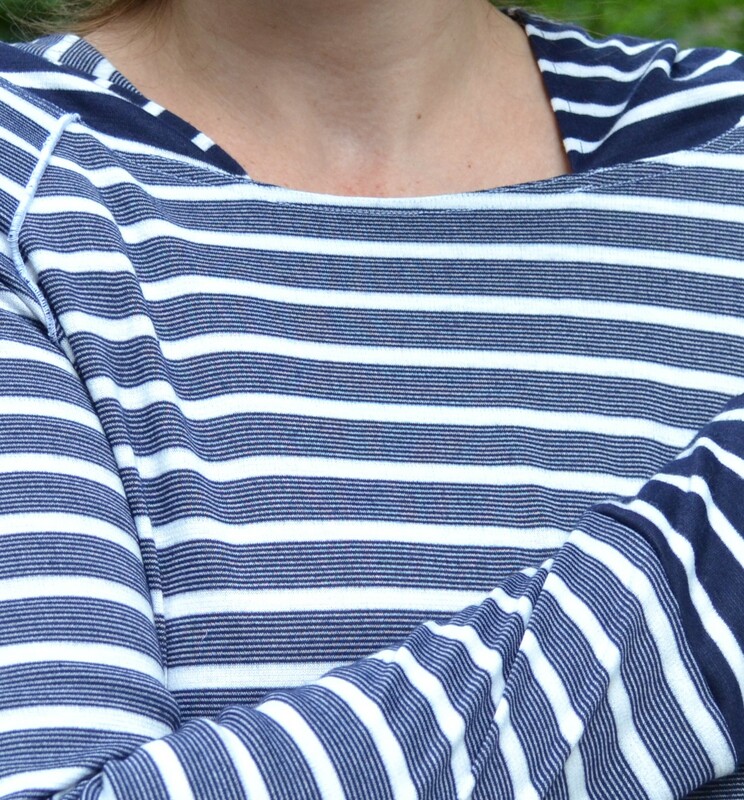 I find that the little sleeve is not very flattering, so I will mainly wear it under other stuff, but that works well since I like to dress in layers. I am planning on making more. On this one, I used a poly Georgette from Joann. It was meant to be a muslin, but I have been wearing it. 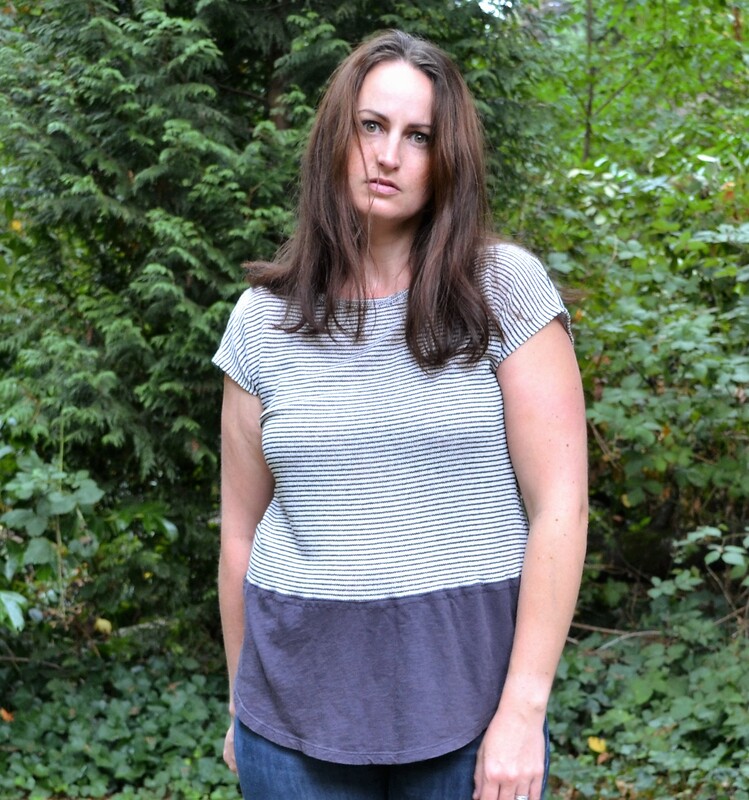 McCalls 6844– View C- I made this one in a sweater knit. Maybe a double sweater knit, does that exist? I lengthened the torso by about an inch (I am 5’8 1/2). This cardigan is oh so cozy and I get compliments about it- so win win! The fabric came from Mill End in Beaverton. This is the smaller of the two Mill End stores in the Portland area, but it is still a fantastic shop! I was in town for a sporting event and had limited time to fabric shop. Since this was the closest store to where we were staying, I hopped in for an hour and bought several gorgeous fabrics. I highly recommend this store! 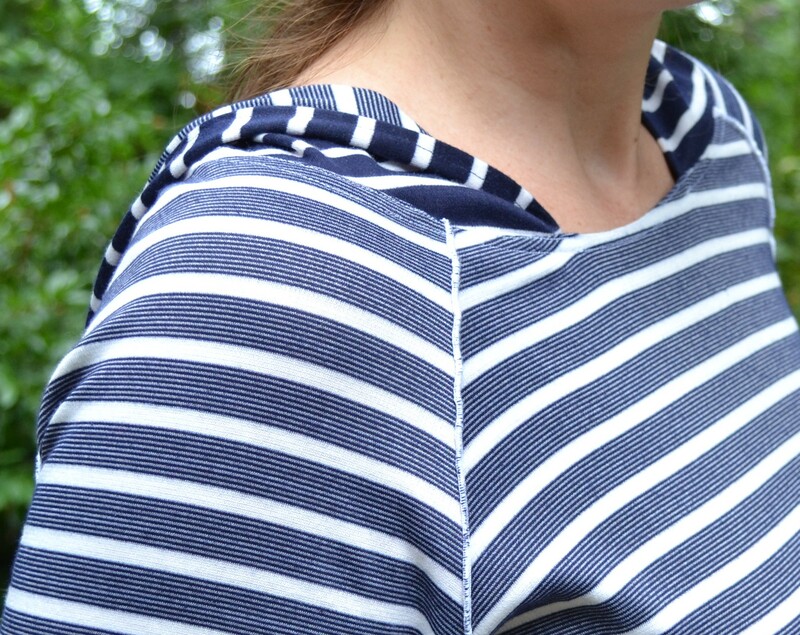 Grainline Linden + McCalls 6603– I had a beautiful length of this nautical looking double ponte from Mood and it needed to be a sweatshirt. I thought it would be really fun to give the front a lace layer. I tried this on over and over again and couldn’t figure out what was wrong with it. Then, light bulb! 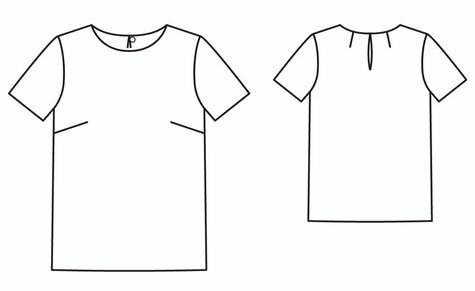 This just isn’t “me.” So I got rid of the lace, reversed to the other side of the fabric and finished the raglans with a napkin style seam on my serger. I got the idea of adding a hood, because I love hoodies and why not. So I got M6603 out and used the hood pattern. I finished the hood with a flat felled seam and I really ended up liking the effect. Vogue 1367 Rebecca Taylor- This top had been in rotation for me until I saw these pictures. The proportions are all wrong and the cheap fabric looks, well, cheap. I really like the yoke seaming on this pattern and will give it another try in the future. I saw a much better sleeveless version from Crab & Bee. This one is a bad mash up of Tessuti Mandy, Maria Denmark’s Kirsten Kimono Tee. I started with the Mandy, but this sweater knit was just a mess. 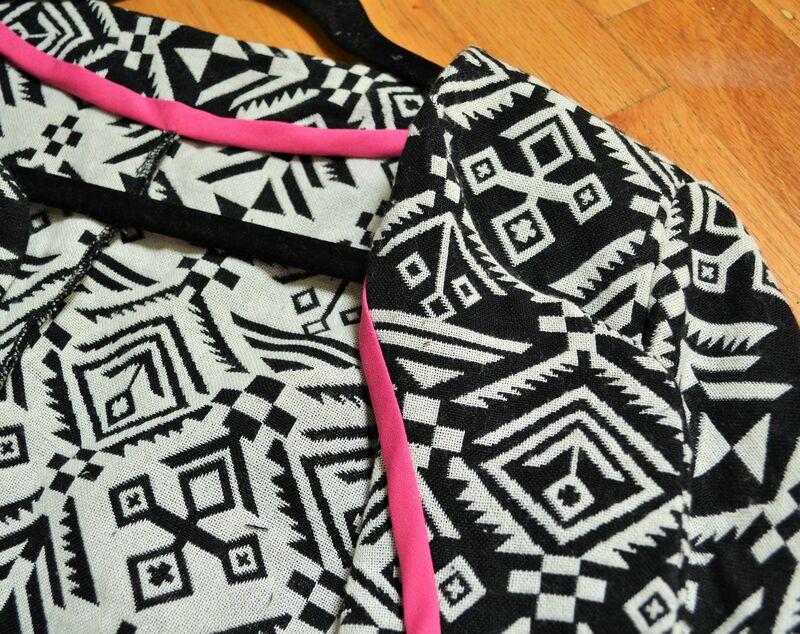 So I decided to try a slimmer style with and cut it into the Kirsten Kimono Tee. Then it was too short so I added the knit part from a RTW tank. Ugh. Just bad. Enjoy my slightly longing, but mostly empty model face. *Disclaimer- the color in these pics is nuts. I tried to adjust to make the dress color true, but my skin paid the price. I’m a bit of a fabric collector. I don’t want to use the word ‘hoarder” because that makes it sound like I don’t want to use them. Quite the contrary- I want to use them all and I want to use them all right now. This Pucci-esque fabric was a remnant I bought from Emma One Sock shortly after I started sewing. I just had to have it. When it arrived, in all it’s liquidy, colorful goodness, I just couldn’t stomach cutting into it. At that point in my sewing, the ratio of wadders to winners was not great. I saved it until my skills improved and until the right moment. You know The Moment, right? The one where you literally get an invitation in the mail that says Please Make a Fancy Dress Out of a Gorgeous Fabric. Ok, most of you call that a wedding invitation, but not me. Oh no, not me. It didn’t take me long to find the right pattern. I had narrowed it down to a few on Etsy. I knew that I didn’t want the fabric clinging to my body, so I decided to search for a trapeze style dress. 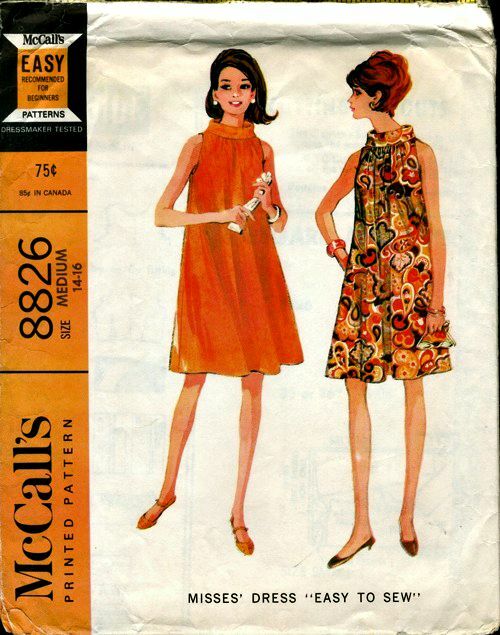 I found this vintage McCalls 8826 pattern and it fit the bill nicely. The dress was a fairly easy sew. The neck was interfaced to keep it upright. I think I used the wrong interfacing though. I used something that I had on hand and it turned out a little too stiff. 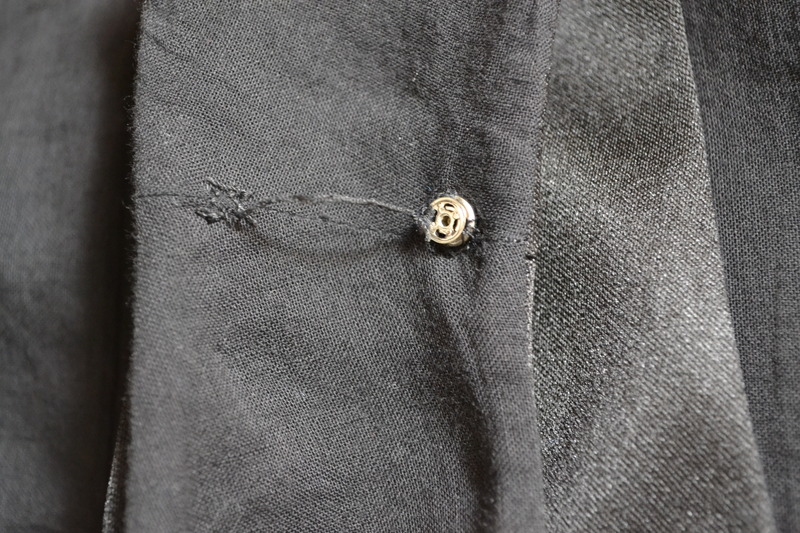 I finished the hem with an iron-on hem tape. Even though I don’t wear many dresses, I would consider making this one again. It is just so darn comfy! You may recognize this jacket as McCalls 6844. 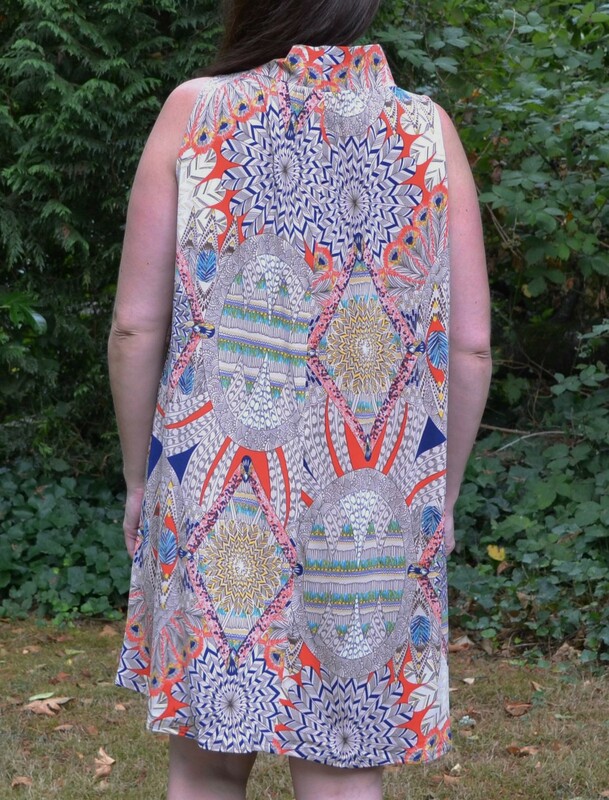 It was one of the top patterns on Pattern Review for 2013. I had a heavy, ribbed fabric (like corduroy, but not) from Mill End in Beaverton, Oregon. I know many of you have heard about Mill End in Portland, but I had limited time and was out in the suburbs so I stopped by the Beaverton location. I can’t say enough good stuff about this store! The staff was incredibly kind. I ended up having to nurse my crying baby to sleep, then I held him while I finished shopping. A sleeping babe in arms will not keep me from fabric shopping! After paying, the cashier offered to help me out to the car since I was still holding my sleeping little guy. Wow! That was so thoughtful and helpful. Not only was the service great, but the selection was outstanding! Yes, I know it is not nearly as big as the Portland store, but it is well curated and chock full of high quality fabrics. 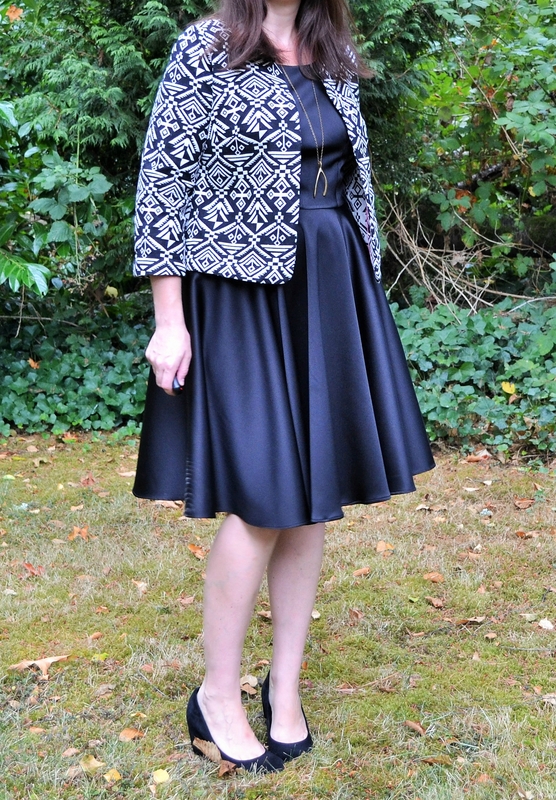 I was pleased with the jacket and it works well for fall/winter professional attire. I feel like no one is really wearing brown right now though. Is that right? It’s a good color for me (unlike the dress) so I am going to wear it despite the trends. This jacket is one of those makes that gets quickly labeled as “my favorite ever.” That description gets thrown around a lot after I finish something. The dress, on the other hand, was never a favorite. I made it in January for an event, but didn’t see myself in photos of it until now. It isn’t a fail by any means, but the fit is lacking. It kind of makes me happy in a way because I know that today, 7 months later, I could make the same thing with a much better fit. 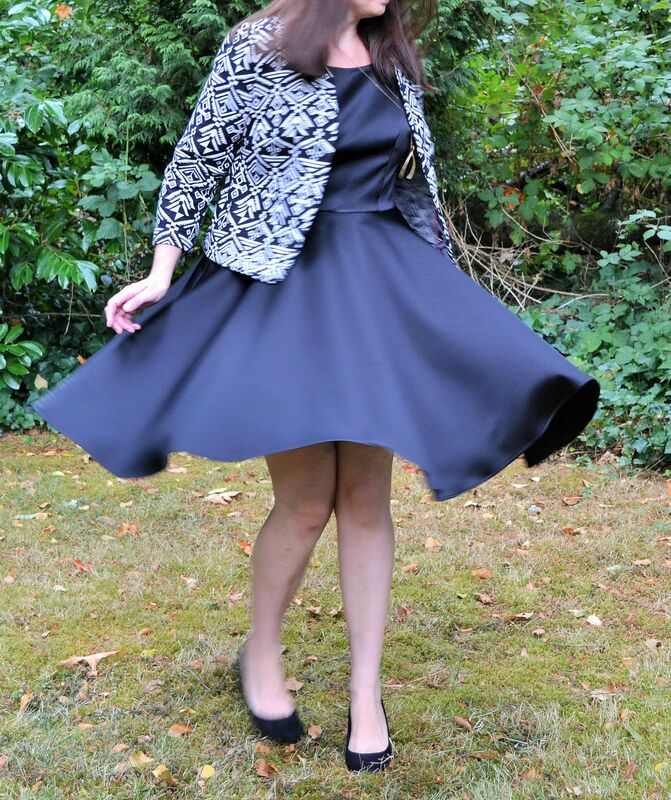 The jacket is made from a Jacquard I found at Joann Fabrics for 60% off. I went in for a couple of notions, then of course, left the store with 4 lengths of fabric. So it goes. This fabric never even made it into the stash. 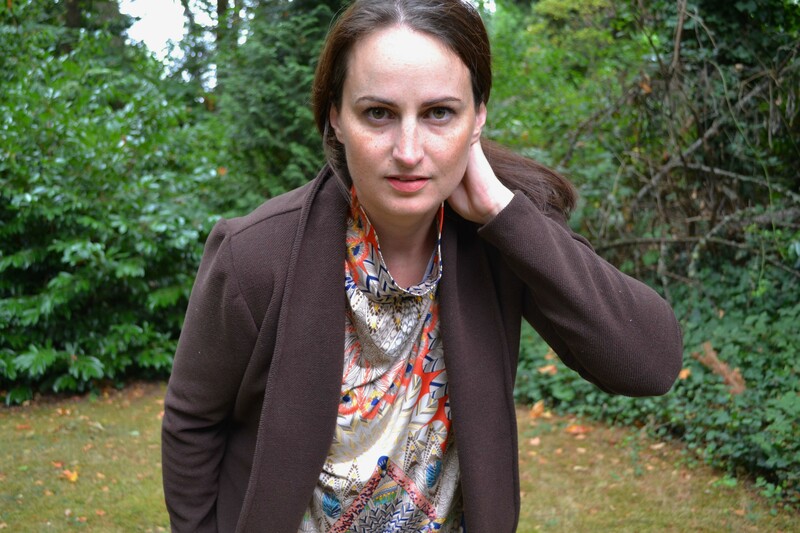 I immediately knew it was time to make the much dreamed about Schnittchen Coco Jacket. 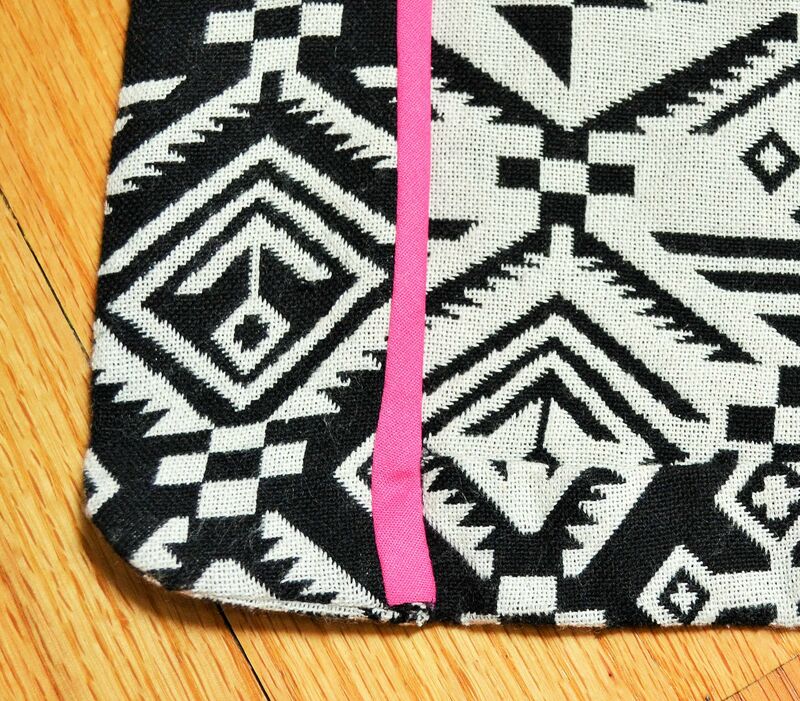 I consulted Instagram about using a lining since the flip side of the fabric is so pretty. 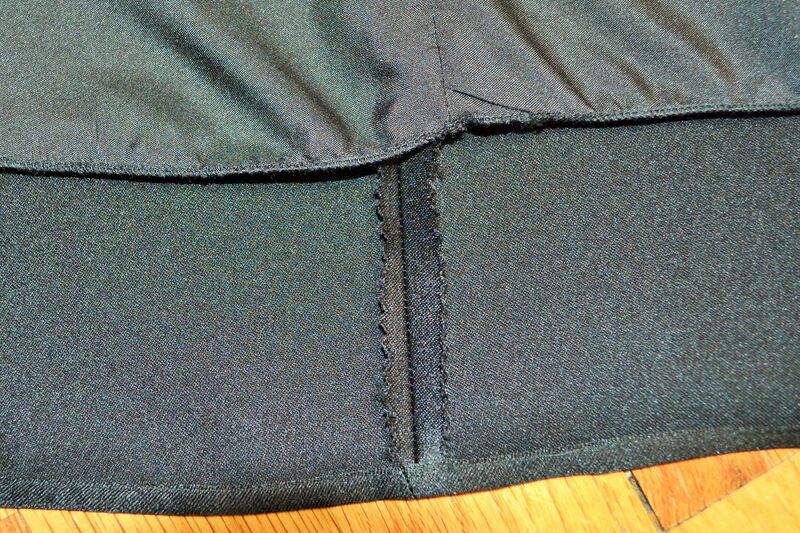 The verdict came down- it is ok to skip the lining and use a fancy seam treatment. Exciting, right? I hadn’t tried a Hong Kong finish yet. Like so many good intentions on my path, that plan was doomed to failure. I ended up gobbling up most of the seam allowance for a good fit. Even so, I tried to do a Hong Kong finish by hand. Several hours later, I called it quits. The fabric was fraying and it was just a mess. I ended up serging the seams, which still makes me sad, but it is all in the name of lessons learned. I finished the facing with pink bias tape and called the inside good enough. The outside, if I do say so myself, is glorious. Construction was a breeze besides the seam finishes. This is a pattern I would call straight up easy! Not Vogue Patterns “Easy” but actually easy. 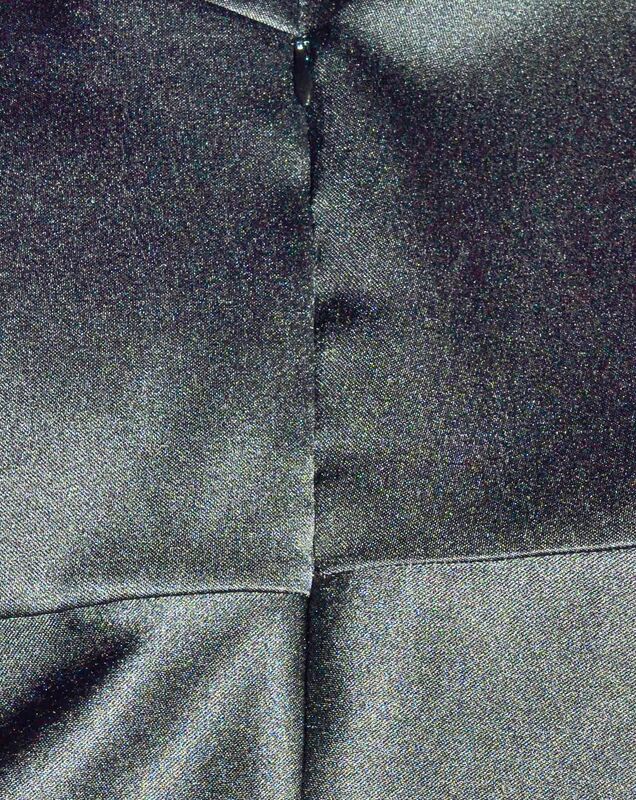 I sewed the hem by hand using a ladder stitch. Not because it’s necessarily the best stitch- I just don’t know many hand stitches. I made a size 44 and added 1.5” in length to each the body and sleeves. The dress is ­­­­­B5748. 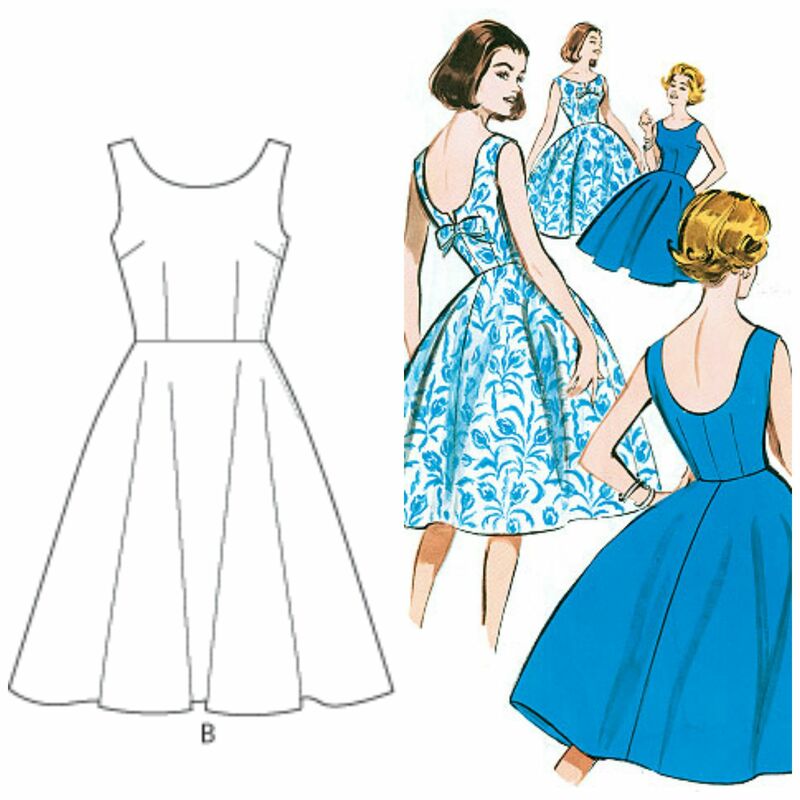 I was attracted to this style because I thought it a snug bodice and a circle skirt would be flattering. Some amazing makes come up in a Google search for this pattern. 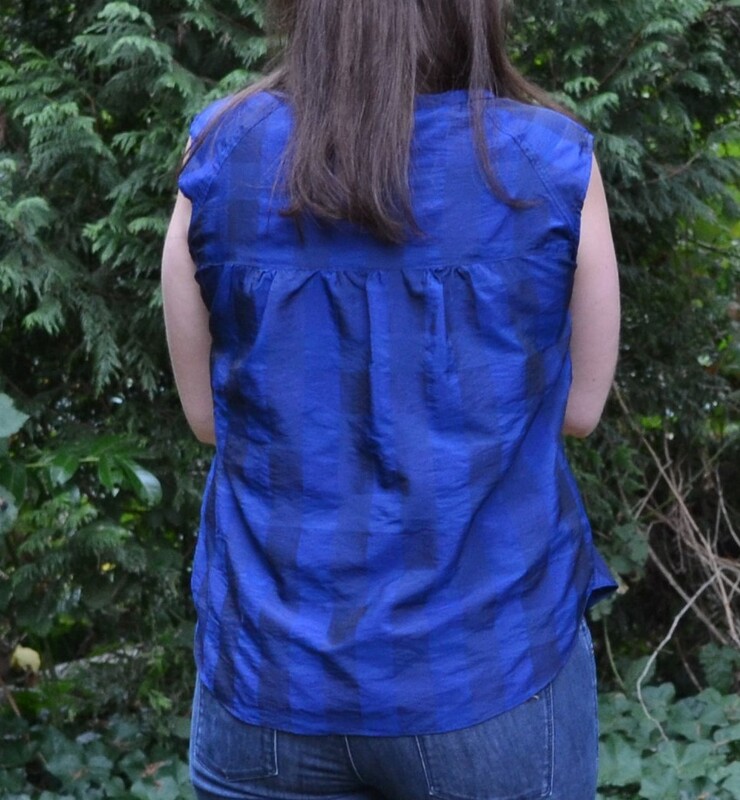 Looking back, I’m not sure that silhouette is for me, but I felt great in it- so no regrets on that front. I made it using a poly stretch satin I got from Fabric Mart for $1/yd. I lined the bodice with cotton lawn and the skirt with polyester lining fabric. The invisible zipper was a first for me. It was a little difficult with the lining, but in the end, it was adequate. The fit. I needed to go significantly tighter on the bodice and adjust the darts. I’ve never adjusted a dart, but this was the place to do it. The bust was big and the dart apex was off (too high, right?). I have some slope to my shoulders and I’m often grabbing for my bra straps to put them back in place so I added a bra strap holder thingy to the shoulder seems. 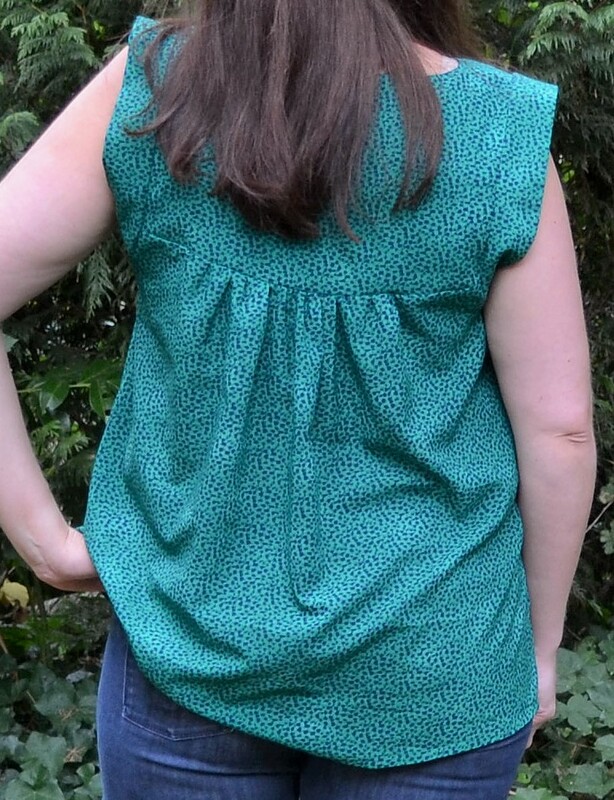 I have had a few ready to wear garments with this feature- I love it! In this picture I am wearing tall shoes. Those are a joke, a fantasy, a remnant of an old life. I never wear heals anymore. They kill my feet, instantly. I used to put up with it, but I am over it. I wore this dress to a semi-formal event with shiny black flats. 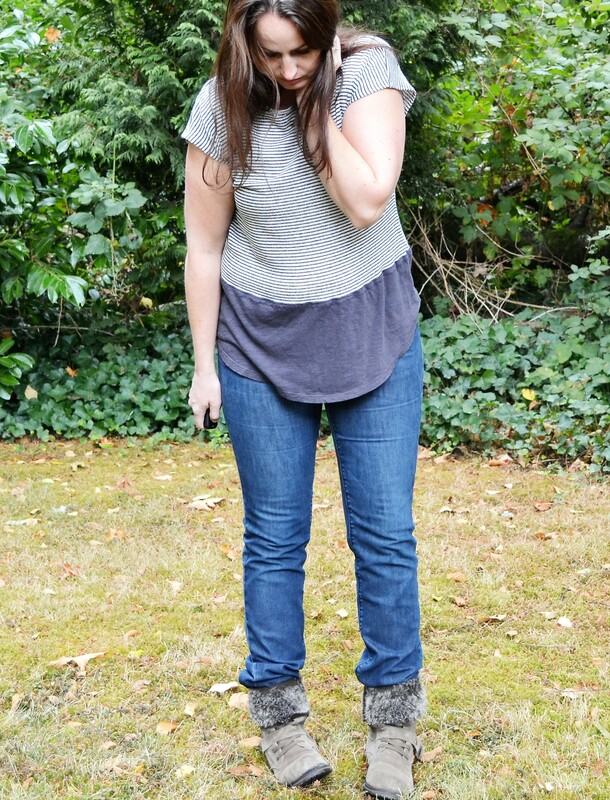 I love a good boxy top. 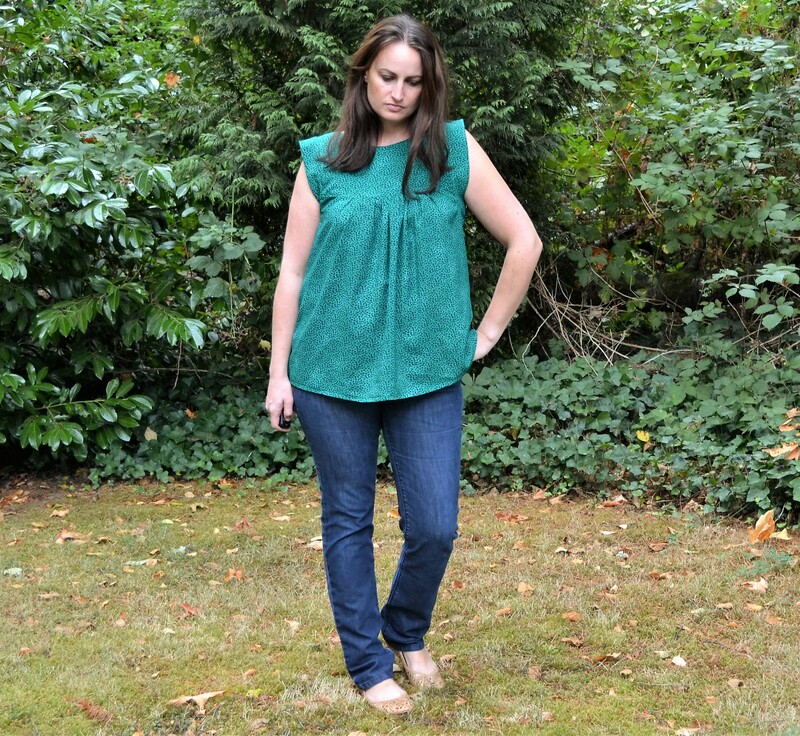 I have been following the Wardrobe Architect series and have discovered that boxy tops and skinny jeans are one of my main silhouettes. Seriously, how did I not notice this before? I guess that is part of what I like about the W.A. series so much- it makes you more intentional about what you put on your body and in your closet. 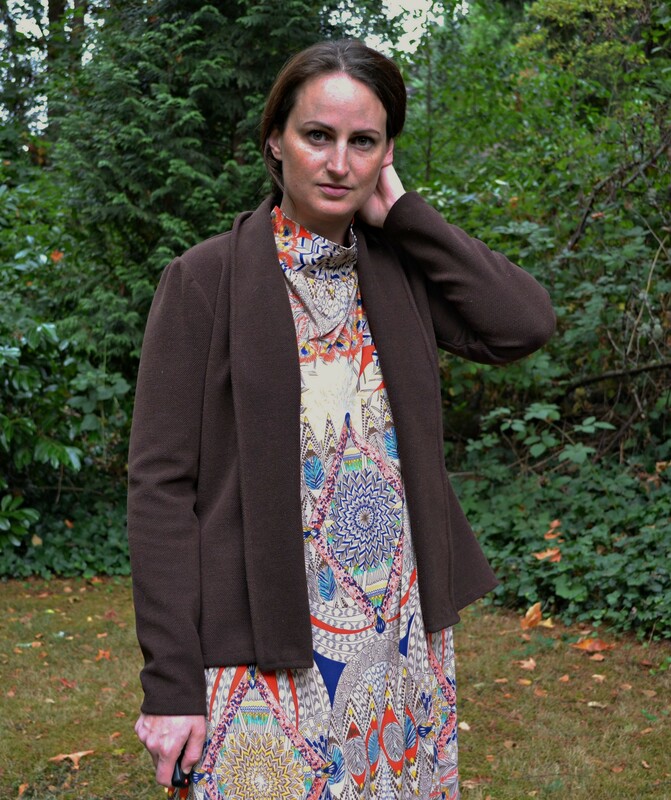 Enter the Burda Retro Top 07/2013. 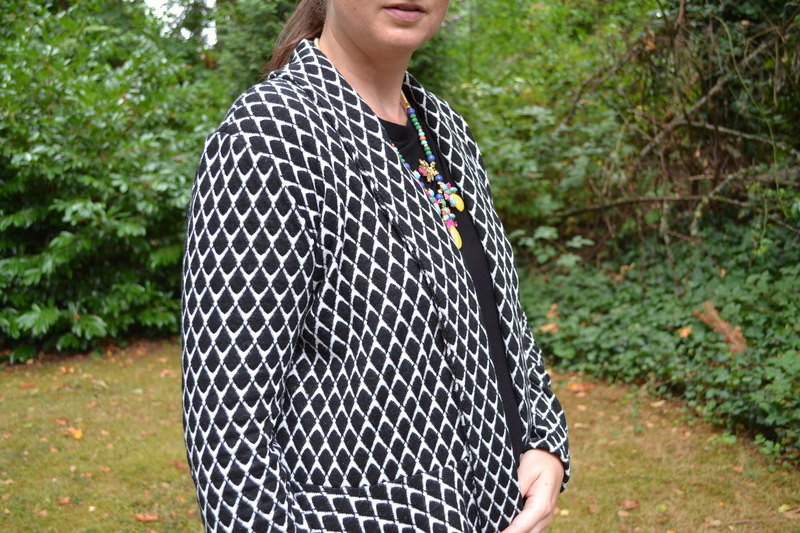 I came across this pattern while browsing the Project pages on the Burda Style website. 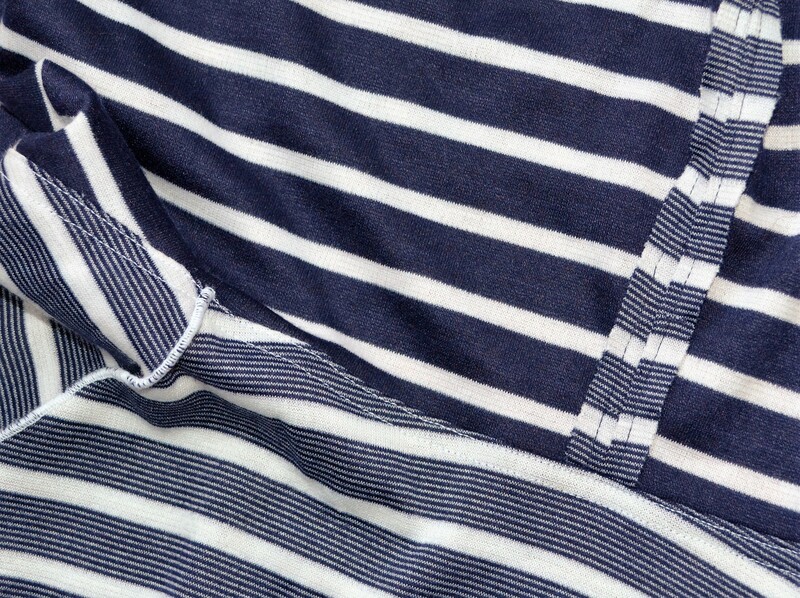 It has a few nice little details that make it more special than a regular t-shirt. There are back darts and a sweet little peek-a-boo opening in the back (yeah, I don’t know what that’s called). 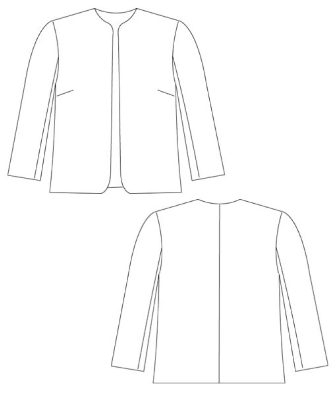 This is my first Burda pattern. I cut a size 44 and made it with no alterations. I’ll probably add 1″ in length next time. I am 5’9″ and it is just a bit shorter than I like. I went all out and finished the hem, sleeves and facings by hand. It was pleasant to finish it slowly and really savor the process. That is not my M.O. I used a yummy black quilted synthetic fabric from Fabric.com. It was only $6/yd so I bought an embarrassing amount. Upside- it is cozy and super easy to work with and care for. Downside- it pills and collects lint like nobody’s business. I have so much left that I think I will make track pants and a Linden sweatshirt with it. I’ll probably still have enough left to make some stuff for the kiddos too. 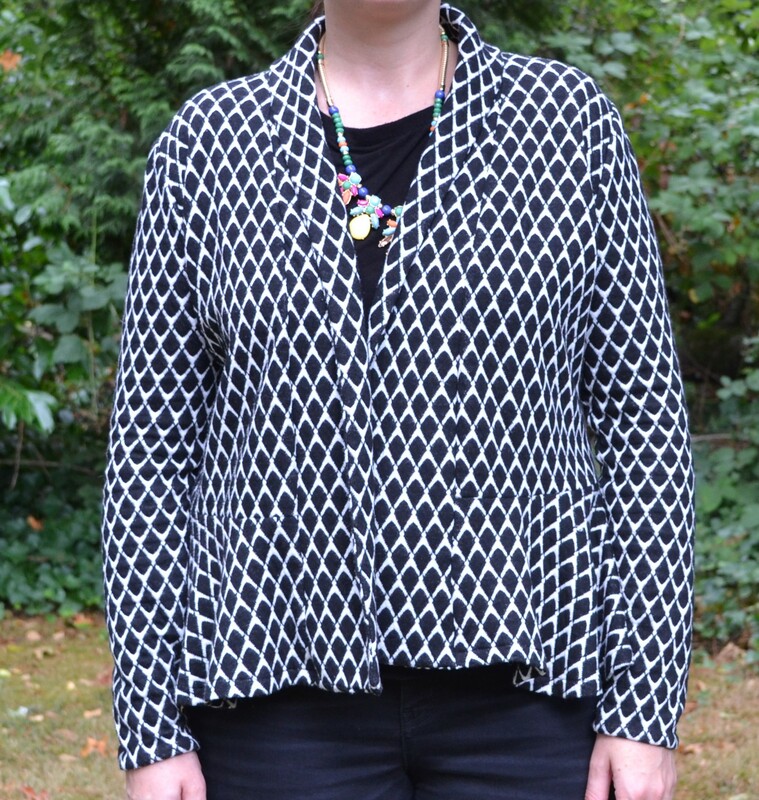 I am thinking of using a black and white upholstery fabric for my next boxy top. Maybe too stiff? I am showing you all a summer make since everything I have made in the past few weeks has ended up in the trash. What the heck? Sometimes learning to sew makes me crazy. It is about the process at this point though, right? I found this striped yellow and white cotton sweater loose weave sweater knit at fabric.com. 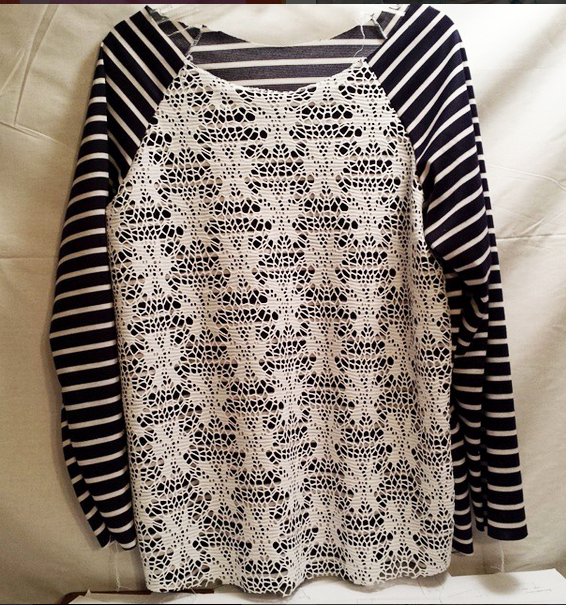 It was on clearance and I love sweater knitsbut can’t stand to wear wool, cashmere or acrylic- it makes me itchy. So this cotton yardage a no brainer! 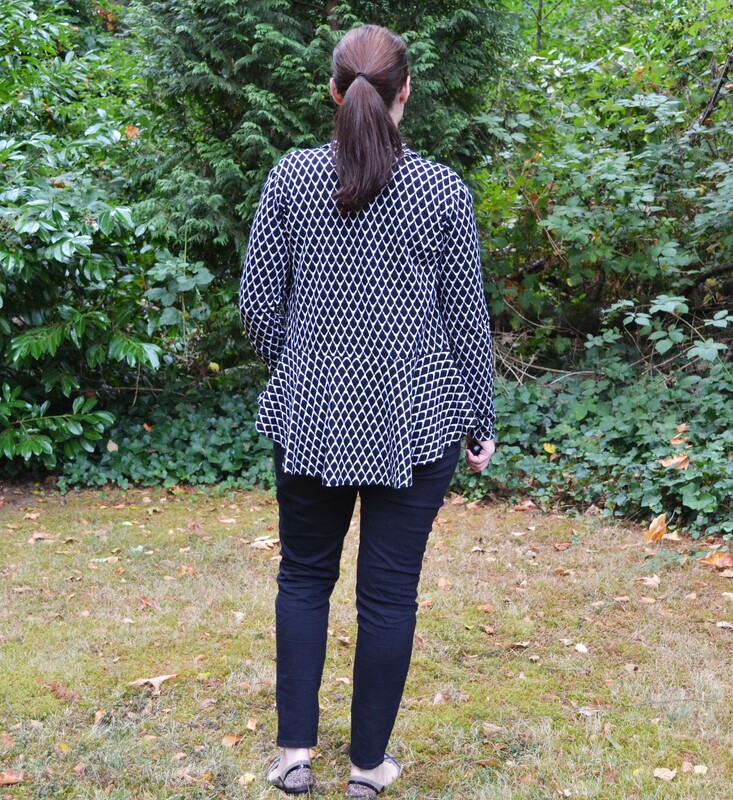 I decided to give Simplicity 6230 a try. Raglans have always been a favorite and I have seen many great versions of this one. I paired it with a self drafted skirt that is SUPER simple. I used this pretty floral (that has already faded badly) from Girl Charlee and serged it and a white single knit lining to a 2″ waistband. That is pretty much the whole story there. I made 3 of these to wear over the summer and they were great to travel with, as comfy as can be and even, dare I say, cute. Conclusion- the skirt is a hit. I don’t think it can handle very many more washes though. The sweater was a decent first try at this pattern. I have made a couple of better versions since. Well, hi there. I hope to get to know you over time. 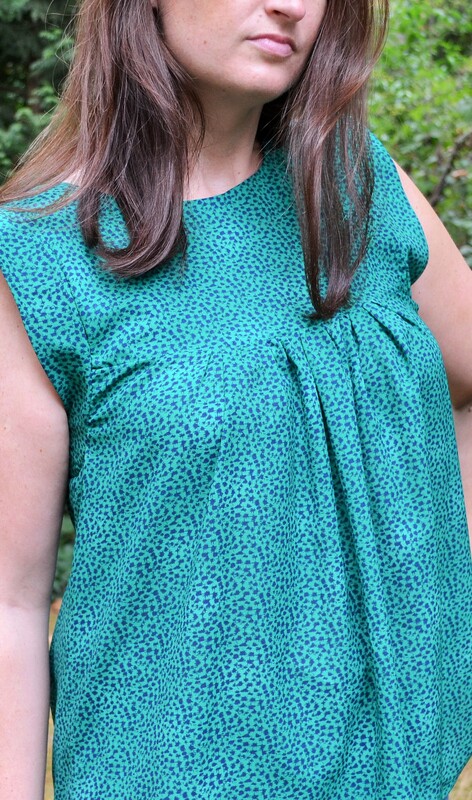 I am excited to join the online conversation about sewing! 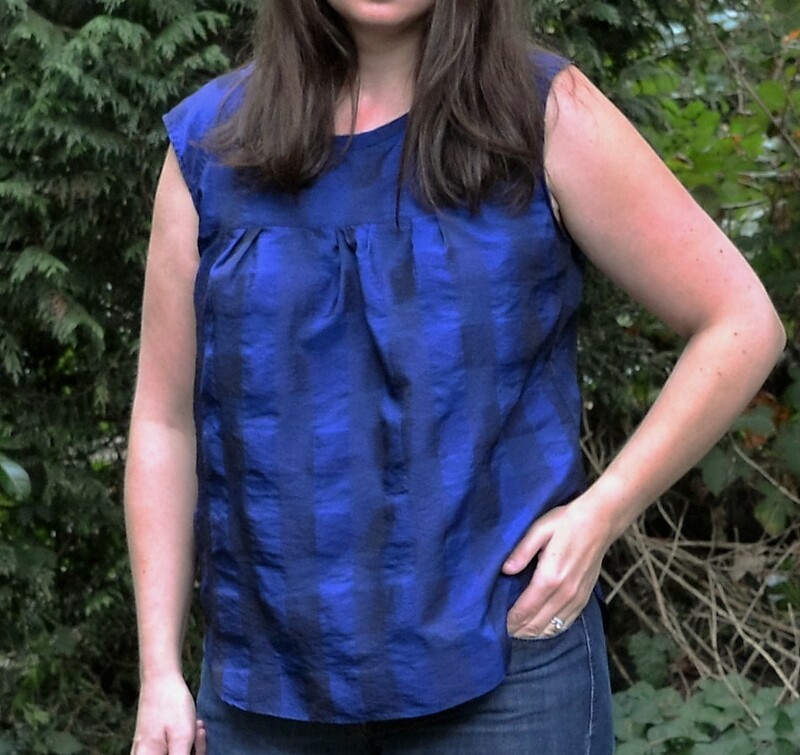 Let’s start with a short introduction: My name is Megan, I live in the Seattle suburbs and I am learning to sew. Lindsay was kind enough to let me pattern test for her even though I didn’t have a blog yet. Thanks Lindsay! I enjoyed pattern testing. 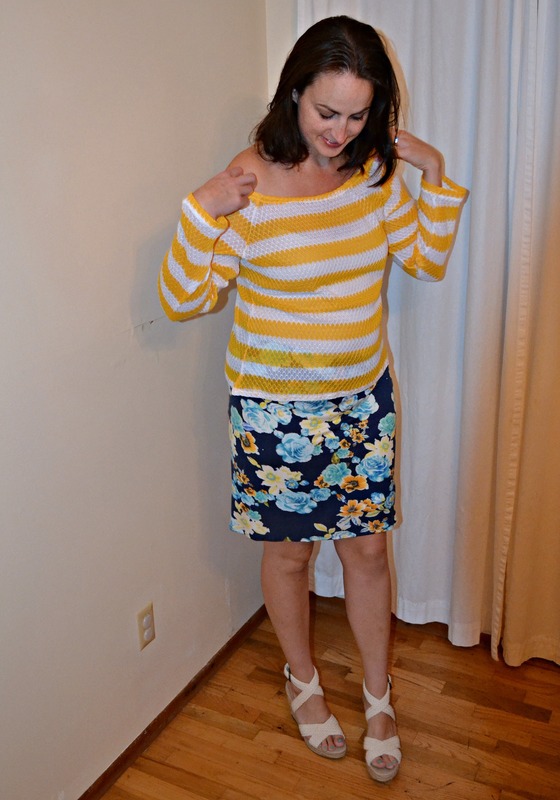 I love working with knits and this body hugging number was a nice surprise. I cut a size 12 in the chest, graded to a 14 at the waist and back to a 12 at the hip. 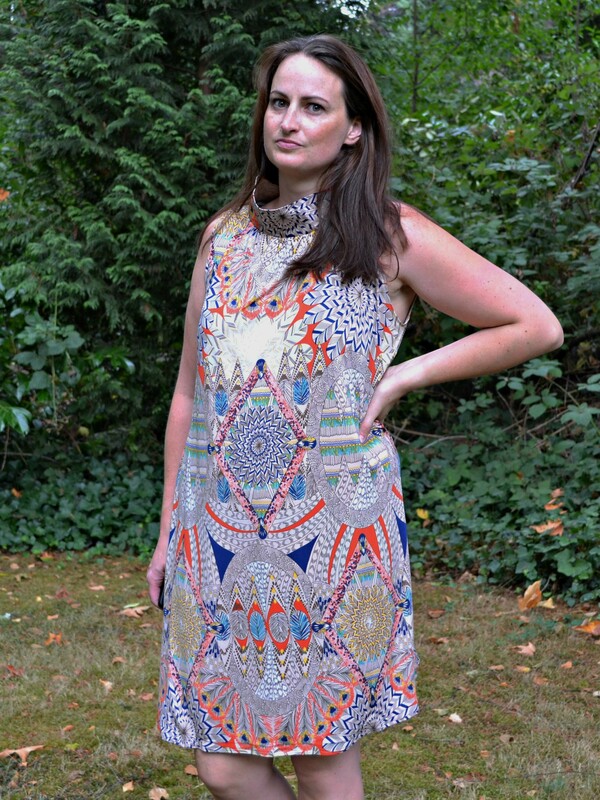 I was cautiously optimistic about how the Senna Dress would treat my lovely lady curves. I am fairly comfortable with my body, with one exception- my belly. I dress to minimize this jiggly bit. How did the Senna Dress work? That shoeless styling is about as real as it gets. I don’t always wear makeup and I rarely wear shoes indoors. Construction of this bad boy was a breeze. I made sure to use a jersey twin needle. That thing rocks! We are best friends now. I swear! We are going to play racquetball in the morning. The ruching is such a perfect little hiding place for my stomach. I still felt a touch self conscious about it though. That scoop neck? Perfection. My first foray into pattern manipulation will be trying to make the crop top into a hip length t-shirt. Most of the time I wear a scoop neck it is either too low in front and/or too wide and my bra straps show. I tried adding lipstick in PicMonkey. Not a great choice. I just got a little carried away.